Devarakonda Shuts Mouths With Pasta! Not just one or two scenes, but entire film got leaked much before its theatrical outing. What one will do in such situation? They will seek industry support and pressure cyber crime department to catch the real culprits. But, our Vijay Devarakonda is not that type as he is going ahead with his unique promotional strategies for his upcoming flick Taxiwala releasing on November 17th worldwide. Taxiwala entire film got leaked online and it was postponed numerous times. Reports came that, the film will be released in streaming portals such as Prime Video or Netflix. Shunning all the reports, they few days ago announced release date stating all the works have completed. Meanwhile, Vijay Devarakonda has come up with a video called Reality Behind Taxiwala. The kids who were seen in earlier promotional video have starred in the new video as well. 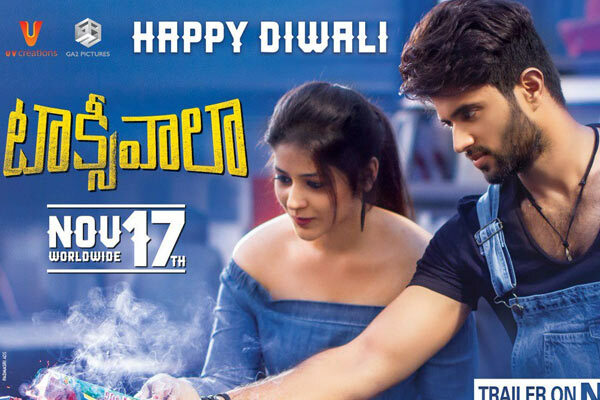 Reality Behind Taxiwala is apparently to shout many mouths for spreading bad talk on the film before the theatrical release. An exciting script - A young team - ambitious graphics - An years worth of passion, stress and hardwork - an entire film leaked! The kids are back & Pillalaki oo clarity iyyataniki - #RealityBehindTaxiwaala,” posted Vijay. In the video, Vijay can be seen giving clarity about how a raw footage will be beautified after going through all the post-production formalities such as editing, sound mixing, VFX, DI etc. He took cooking pasta as example to show the difference between raw footage and final product. We need to wait for few more days to see the beautified version of Taxiwala that will have many CG shots to thrill horror and thriller movie enthusiasts.